Since start of last month, I started to buy study material and book to study. 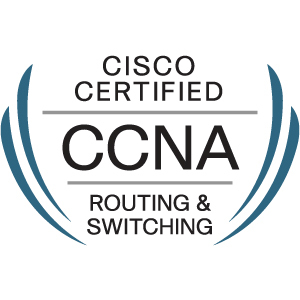 On Fri 12 March 2019 afternoon I passed my exam in part 1 to be CCENT certified. Just now in afternoon 1 April 2019 Monday I passed the second part of exam which is ICND2. Overall cost me over 500 Singapore dollars to book exam to study. S$450 for 2 exam each cost S$225, exam material like S$30 each X 2 for ICND1 and ICND2, with video lectures, PDF study material and most importantly premium exam dump questions. I want to share about my job hunt from last week ago 5 weekdays I send a lot of resume in online job advertisement, in total I have received 11 interviews, 1 last Friday, 8 this week including tomorrow, 1 next Monday and 1 on Tuesday like from recruitment agency, next week got upcoming one also from recruitment agency but pending confirmation as they given me a date time got crash with another appointment. In Summary out of 11 interviews appointment confirmed, I have 1 interview which is from job agency. Last 3 months ago, at least hit some recruitment agency, but some recruitment agency may ask you come to their office sign a application form stated like if you resign in 3 or 6 months need to pay agency a month of pay for service fee. This month I rested for a week in first week then prepare resume started to mass send online job advertisement, but this time a lot lesser to recruitment agency more on company direct job posting instead. This whole week and last weekend I stop send out my resume to prevent my call too flooded for job inquiry so I wait till next week start see how if I need to send mass resume online job advertisement again unless now I accepted a job offer. So quite a big improvement as no need send my resume much to recruitment agency still can get a lot of job interview, provided there are some condition need to follow like resume must be very clear, detailed, not messy and duplicated information and also expected pay cannot jack up too much from last drawn also need to indicate in some others like clear passport photo for example. That bring me to a point why I send you this e-mail. There is one job recruitment agency I caught her on hand due to my recently personal data protection precaution I take. This job recruitment agency called me my first mobile number, had send e-mail to confirmed appointment and stated near appointment date time she will contact me to prep through, so I replied her e-mail to confirmed appointment again. I do some search which I did not submit my resume through online job advertisement to this job recruitment agency at all only this month. So she called a day before, asking me if I free to prep before going for job interview, I told her 2pm onward can call me. So I waited at 830pm she called me using a different mobile number which is not in her e-mail signature stated to my second mobile number, asking me can talk, I told her make it quick, she ask my pro and con. So I told her this is not right and hang up the phone immediately. I send her e-mail immediately after I end her call asking I did not receive the JD, asked where do you see my resume to know this number, how come called using different number also. She replied my e-mail she found it from monster my resume which donkey years I never use monster online job advertisement web site to deposit my resume and make it public searchable. She also said the phone number talk time value run out did not top up so use another phone number to call me instead. I replied her e mail please delete all my resume and no need to find any more job from me due to personal data protection act. I going to share what is good business practices on sales deal. This will exclude small simple business self employed like small food stall in hawker for example. Basically the sales should be working as a team, not as individual like one person more sales more commission and other less sales less commission earned. Maybe the organization can make sales team basic pay a bit less from other team or department or the same, but will enjoy commission equally just like round robin operation that kind. The sales team will have fair share of some difficult and easy client to get business deal in instead of people says those commission earn a lot than others due to having too many easy client causing it. Of course the organization will have to set a minimum sales target if not people come in to work after 3 months will have a mindset since first days onward that just get zero do nothing at work. Another example will be people sell laptop for S$100 as many as possible just to earn a bit of profit and or to hit sales target, but client use a few days become faulty does not work at all so other department or team will handle it cannot fix will cause the whole organization to suffer. Hope my sharing is helpful to you and your team as well as to the nation. No action is required from you and your team. No law enforcement needed to set unless your team thinks is needed especially private organization have its way of running business as some organization will suffer or gain even they follow my suggestion or not. Your team can raise any small or big meeting to discuss if there is a need or issue going on now or later. There is many issue happening recently, this is what am I feel about and my sharing. Well, even people in church asked me to start serving in ministry, but I thinking as to become minister for me instead even though I already left nothing now. Resident can come and make all the complaint to me, I can always keep listening pretending for me to be their minister to serve the nation on stage later shown in local TV news, the only fellow who suffer is only me get nothing in the end that so simple. Everyone born to be rich and generous is already in their mindset who do not want, only just want to stay poor all their life? What kind of richness we all should have? In the New testament, Jesus taught us to be love god, love people, love yourself, to preach the gospel where old testament does not have any four of these. If people want to be rich lack any of the four, even not preaching the correct gospel to be good not great, this is what happen to the churches and the world a lot of problem. If we give more bless more, people, churches priest pastor and leader also will give more bless more provided is according to the God word. This is so much better than spend a bit of money buy any lottery even. For example, people sent up a business, get some contractor do task, once task done business owner get the credit but contractor get none, when bad things happen, contractor will be the first to get loss, what is these? Business owner no work done, or no good work or do not know what is good work? Of course contractor had some advantage, maybe learn more things but business owner know nothing only knows how to make money? Our faith is the only one so far in the world had nice music where we can worship god mostly old music like classical or a bit secular pop music can some relate to, good story to know god also, which faith or no faith or against any faith people practice will have any of these? I not against tithe, or giving 10% anything like time at least every Sunday 2 hours to be in church, money totally. For me I do not believe in especially in New Testament about tithing that why I do not have a home church locally till now. Well if people want to tithe, they should understand what is the meaning the truth like what I said in any of the four as above paragraphs of this e-mail reply. Of course people should be encouraged to give generously so that the ministry can do more good works. 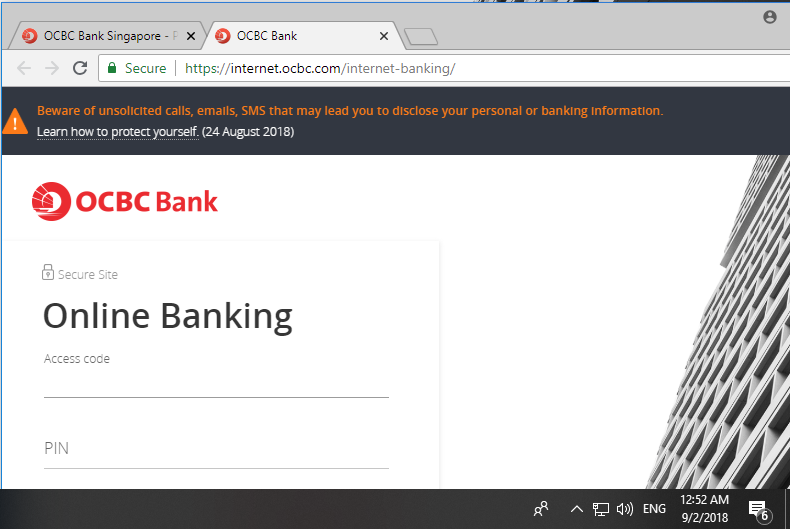 I want to give you some guidance on how to protect your personal data due to new regulation of disclosing our identity number and images information in Singapore. Firstly, you will need to spend money get a second mobile number to maintain it, this second mobile number can be insert into same mobile phone and it should work to receive and doing outgoing phone calls and text SMS if not can buy second phone for this usage. You never disclose your primary contact number to very close one even for work purpose at all. If emergency, also cannot disclose your primary number, should be someone who is very close to you too. Leave your primary number disclose to very closed one your loves one like friends for example. Now phone that can have two SIM card for two numbers are very cheap, cost three hundreds plus Singapore Dollars maybe with a local set full one year manufacture warranty right now. We do not need to use memory card to put in phone as I hardly use it, as got cloud service in phone online, additionally also have google or apple cloud service online to backup some stuffs in our phone. The second number should be using it for work, apply job, like some organization for religion and if you use their product and service usage later on. If you somehow change the second number for at least like every month once, organization should send you e-mail like personal e-mail address to contact you instead if they cannot contact your number. Organization should just send one time reminder to your e-mail if they did not receive a reply from you like a few days later that all. Identity number should be with last 4 characters only like 123A for example, remember to update all of your documents before you send out now like resume. An Example for usage like writing resume. A: Do not disclose your full name, only your surname at most with your English name similar to other kinds of religion name. B: Birth date should be edited to year of birth, also do not disclose your birth date instead. C: Address should not be disclose in full also, just put Ang Mo Kio for example. For the D will be the phone number and E Identity number also. The reason for doing A to E as above is due to there are too many issue with job agency doing head hunting so trying to safe guard. If head hunting call you to release a lot of these detail then they can later let you know the job information before they can submit for you, kindly reject them so that they can find a better people suited for their job recommendation. I will have to send resume now that I rested one week after my last day which is last month end, will avoid these kind of head hunter specialists as much as I can to slowly find job. Click on attached link as above. Something interesting that happen in my life for the first time since I was born. 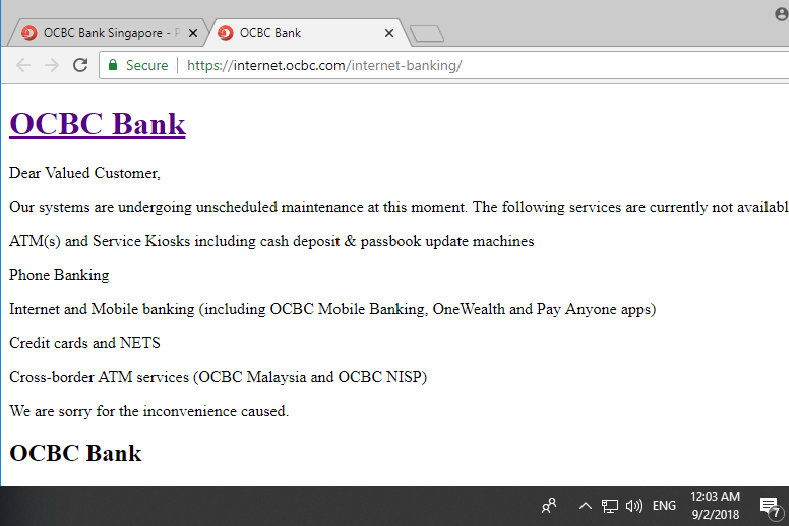 Well, a deposit account since bank started operating in the beginning as the first product is for you to put money with them so that you can take out. But you see the screen shot really amaze me if got such thing can happen really, not even talking about any kind of fund transfer, payment, credit facilities. Maybe I should not try to store anything on earth or even heaven as God is everything? Cash is King. 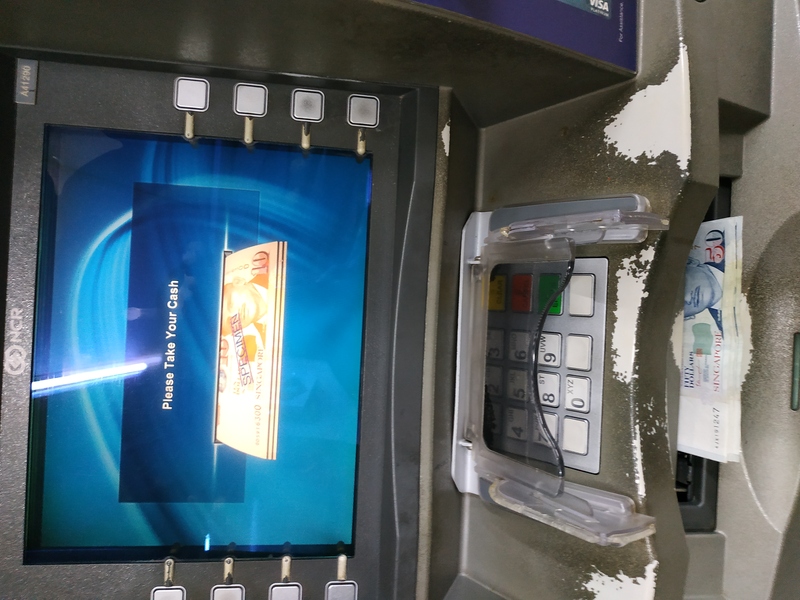 Bank is very Secure. I have no comment to say about cashless and/or fintech to promote now. Going to sleep soon as it passes midnight. Now back to business, maybe service restored within two hours maybe. Double confirmed not only me got this issue. It was reported by others earlier than me since Sat 01 Sep 2018 evening in this screen shot which I taken. RE: I not welcome to go any churches in Singapore from past till now update. God creation in book Genesis chapter 1 is for good work. Where we have problem in New testament Jesus was born to come and save us or help us as we have problem so that we can fix it and move on. In Book of Rev 1, then chapter 2 to 3 is about 7 churches, going to chapter 4 is about heaven. So definitely what I said about book 67 is correct. If you are in any believe, faith or religion, or you do not have any free thinker or you against any God, we should be doing good works, definitely not bad works or you even do not know about good works at all. Churches here are more towards business minded operation idea, where they did not know God is everything, if they know the truth much in the beginning, now is so much more better with blessing rather than business minded. Does not mean if you pray to idols is a sin, even got valid clause like funeral pay respect to immediate family member, or marriage even have no count as idolatry worship at all. Unless you nothing to do go and pray maybe is idolatry worship, this is what is about 7 churches about in revelation of what I said 67 book. Bad or good churches in those 7 churches does not really save you. Is the works of 67 books, maybe bad churches you in with your 67 books, you will succeed it in the end. Please do it right always if possible. Currently I work in financial industry, but leaving in this month end as last day of work started work last month, in the past many years ago also financial industry. Both past and present financial organization are working as a contractor full time, not permanent staff in house. There is no system there to operate properly. There is a issue where there is an alien looking machine got problem, we go there cannot fix it so let others do it. 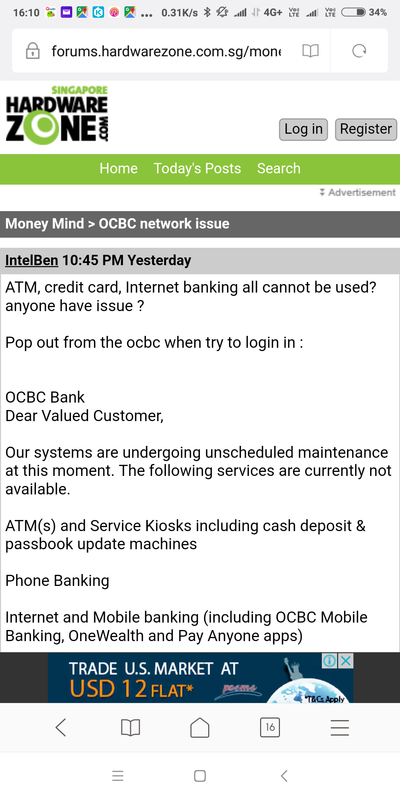 Other said is not our machine and network, we also said is not our machine and connected to our network too. In the past not this organization, since we know the machine is rent not own by us maybe, we will try to contact support outside maybe to remote fix it may not need onsite visit. We should know about national security. Even local or foreigner, this country or other country, or other planet, or other galaxy also need to know national security well even you know computer or not. We live in a new ERA with fast broadband all over the world fix or mobile, not in the past we use paper and pen and we call parent their pager for them to call us back. Definitely we are working in central database control everything, cannot be too slow pace, not spending any time effort and money now just do nothing. I may have to prepare resume soon to find job, but now in shame if work in this organization as I worked over 10 years plus in Computer system support in few organizations, got went to study some course get certification and school some years back. I not welcome to go any churches in Singapore from past till now update. What Jesus said now can confirmed is true. I do not need church to be a better person. Church is a public building for place of worship, can be a two or more people come to worship God. But I find why bible cannot say church is where two or more people come and make friends? Yes, I having problem attending church as it is always full of people inside worship God, so just now I come a bit late just to observe will I have issue like 10 minutes later after Sunday service started. 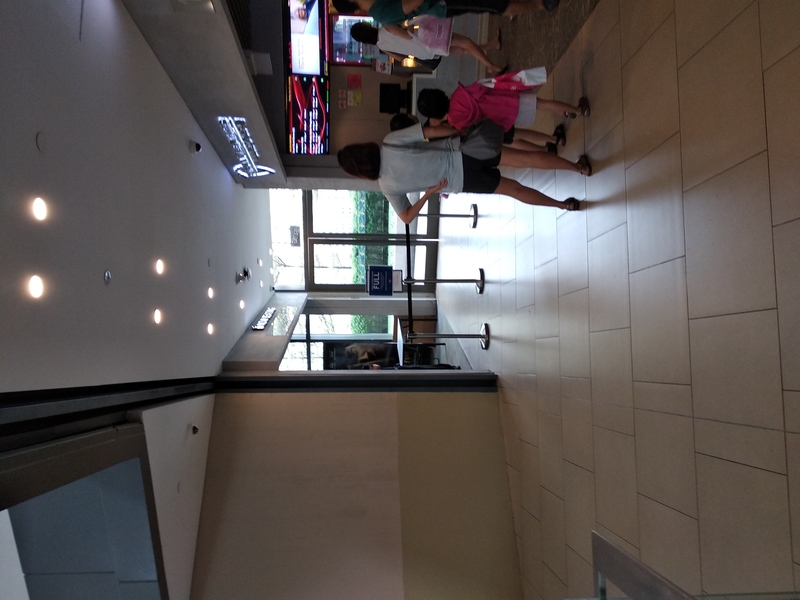 People knows is already full, scolded the Asher why cannot they go in. Asher like asking them did they book a seat, they did tell them the seat number, so they go in. I smile and laugh at them entering into cinema hall. I did not go in, as I did not book a seat inside so may not be able to go in. So might as well as go downstairs got ticket vending machine can insert money or card to purchase movie ticket so I can go in right? Anyway is really F not hell now. I went home after 5 minutes since I cannot go in. I understand that people book seats, just like hawker center is normal, so is a personal problem not church problem, we or church cannot control much till now. But the church does not have whistle blow policy, as you know the Asher can tell people no sound, no picture, no sound and picture, so people will left the cinema hall not attending services which happened the first time in my life in church as this issue can be very serious . The team trying to reduce people booking seats there but I think the situation will become more worse next week as we live in the ERA with social media, Fiber Broadband and 4G network not like in the past. You read John 3:16 the most famous and sweet part, then verse 17-21 is all about works and right deed if not is dead. Then in the book of revelation chapter 2 to 3 it mention about 7 churches, but I thinks these 7 churches is about works. You can read all the 66 books in the holy bible, but what can really enter into heaven is your own book 67 most important, also refer as your works which is not written in the holy bible at past. So these 66 books can be just a guide line, how you perform is your own book 67. I review about it a few years, since I not tithing regularly, even just give 10 Singapore dollars does not consider a tithe to church as a blogger here cannot be monthly earn just one hundred dollars only. Plus I do not serve in church, yes I do attend small meeting but it was too little so decided to give up stop coming. One year meeting is about 18 times average, not even 20 excluding big events or free and easy where no formal meeting is held in people house or meeting room like in church. So I recently just ask the church Data Protection Officer via e-mail to remove all my records in church to protect my data as it serve no use to them also just now send reminder if they had not done it so now. Even marriage like next time no need to be in church, as well as death will be under Singapore casket, as my teacher primary 6 got introduce me you need to go during an outing in school bus as he is very old at that time. My family support till now is well and proper. I am a water baptize Christian, to really become a believer to follow him, then started to learn music shortly till now over 10 years plus in classical piano and singing not much progress. Now I started learn to improve my swimming like free and back style as frog style can swim 20 laps 50 meters pool in last month end spend about 45 minutes less than 50 minutes in water total, since over 20 years plus ago learn together with family. Also trying to learn Japanese language and maybe culture in read, write, speak. In few years ago, got attend commercial gym and personal trainer. So time in church is much less spend now maybe. I not welcome to go any churches in Singapore from past till now. I did feedback to them about this issue quite a few years ago some cinema venue got too many people come very early to reserve seats, can be one person reserve seats like whole row, at least a few seats not just one or two, the crowd will start to stream in for services like started 5 to 10 minutes ago to get the reserved seat but in the end it become more worst now. I do not think people can really reserve the seat just like that, since the cinema hall is very small, less then 100 seats, some cinema had bigger halls at most 200 to 300 seats. If people need to reserve seats, can go bigger place like main church building or bigger venues as cinema hall is really too small to do that. I understand that church main building security had put too many restriction on security, hence people no choice got to go other places like cinema venue. When I go church man building for services some time ago in the past, all people had to do bags check, they do not have x ray machines and metal detectors. So a poor old man carry a big bag full of clothes were asked to do security check, he take out most of the clothes in his bag and put back after done security check, me just a small bag also check. I find that this could be invade privacy and causing inconveniences to many people also. Last week Sunday 17 Jun 2018 I was here early for service about 1120am. Something not right is happening which is my first time in my life go to church. the Asher told one person, no sound, the person left the place not attending church service. the Asher told a couple, no picture, the couple left the place not attending church service. the Asher told a family, no sound and picture, the family left the place not attending church service. Of course I unhappy about it, but anyway if I cannot enter church services, I prepared to stay outside till services end or go inside no sound and picture. So I went in, they just stop me for security check, I put my bag down, take out my music books, music folders, tablet so that they can do security check easier. But they did not even want to come near me to see all my stuffs at the tablet, also even to take a look at my bag, asked just pack up and leave. I pack up and go to church services, I thinking, what a Hell saying loudly. I mean if you want to check just check, if not then no need to ask me do security check. I went in to the services, was shocked that got sound and picture working perfectly till the end of services. As of just now Sun 24 Jun 2018 I come 1120am to join the que outside. The Asher told me is full, I told him inside is not full as there is a lot of reserved seat and many people without reserve seat also just went in without join que to try luck if there is seat. So I waited from 1130am, ten minutes later Asher come out keep telling people no seats, but I do not see any pastor in charge come out and say in official way. I waited till 1319pm saw a large crowd coming out so the services end. So I look at the photo taken, thinking like there are full of people need Jesus since I saw the word there FULL in the entrance, Jesus said “You are not welcome to any churches, you may do father business as usual.” So I left. I would not know how long I going to stay to attend this church regularly. Soon I will be hopping around many church, maybe visit this church once a blue moon like one to two months once on a Sunday service. As you known, I recently come back to your church. I decided to serve in praise light, I went for an audition that Brother Rico worship manager and sister Girlie choir lead church staff need me to attend at least sword light or cell light regular and after a few months will arrange an audition again. I tell them I would like to attend cell light, so brother Rico told me he will tomorrow Monday morning go to church ask them to arrange. Pastor Alan How called me tomorrow Monday morning that I said I make lighthouse Evangelism a home church so he arranged a cell group for me to attend. After attended a few times, I decided to lead worship piano in cell group which I never done before. I done once played 4 songs and got some problem ask for their feedback. They said some songs are unfamiliar, the cell leader host upright piano was too far at the corner at the living room from them sitting. I asked for a list of songs, the cell leader gave me ten songs and I choose 4 songs, bring my portable keyboard to host cell leader house to play. A few days before the cell group, I send the audio recording in WhatsApp group for them to prepare for coming cell group meeting worship as new way just trying out that this second song is using auto play only need to press chords done on Casio keyboard 61 keys portable model ctk4400 cost about S$300 for new set. Before that I asked my cell leader about the audio recording he finds ok. I did not attach audio recording in this letter so you want can ask Brother Rico as send to his e-mail or cell leader. The first song is ok a bit. But second song one brother sing very loud out of rhythm then I cannot auto play on keyboard well. Third song and last song he does that again so I cannot play well. Second song auto play is less time spend to prepare easier for me to play compare to the rest of three songs using manual piano way of playing. I went home called my cell leader over the phone a few mins to told him can tell in the cell group sing loud can but if out of rhythm can sing softer so can I can sing out to lead worship. He said cannot be done as people or someone will feel hurt. He finds people able to sing out loud and proper. So, A few days I decided and inform the cell leader I decided to left cell group due to this issue. I Had informed Brother Rico I left the cell group so not need to come for anymore audition for praise light no need to wait for me and also church camp in Malacca to withdraw due to not able to serve in praise light ministry. He called my cell leader and after that he told me two things, cell leader said piano or keyboard worship not conducive in this house and no one is singing loud. That make me even not going to serve in any ministry, and even visit another cell group to attend regularly so not making lighthouse evangelism my home church now after heard these two issues. Another update. My mental illness condition is improving. Last few months I see psychiatrist she said I did not hear voices for a few years after asking me some of my symptoms if I had. Since I said I need medication so that I will not think so much bad things about people in work to resign very fast but going for long stable income she said I not suffering schizophrenia but bipolar disorder instead. Last few days on Thursday I went for follow up appointment, she checks on my symptoms and said since I work for few years already I may not need medication at all as work no stress stable income which maybe just mood disorder or simply mood problem. She reduced my medication half hopefully see me next year no need medication but yearly see her once just for review. Unless soon I change my job now contract to perm job more stress than have to take back medication. I ask her I have stable job, good family support but why church got so much problem you cannot help me as psychiatrist. She said is it that I go big church less problem but small church more problem. I told her it is not like that, just that if I go church without much interaction with people I can stay in church very long, just that once church tell us to go small group or serve ministry to interact a lot with few known people I have a lot of problem and left church going many churches. She said church in nature have many problems she cannot help any. Final update, I met some lady for first time dating in online websites. Hopefully can find love and get married like two to three years from now. Since year 2004, I come first time to lighthouse Evangelism Woodlands as the church new building just started using. I know it from church flyer received at my house door step so visit it. Till now, my family all Taoist non-believer never come to any church since I become Christian. But last week Sunday afternoon service 3.15pm I managed to bring first person to lighthouse evangelism who I date her recently got from online web sites and stay through all the way even Pastor Pacer is praying for people at the altar at the end of service. She is Buddhist from Malaysia and want to go church with me as she never goes church before. I told her going church will make you a Christian. She said do not want to become Christian. Saturday miracle service she is in Johor. But Sunday service I told her church will ask you fill in welcome card so church will contact you so you need to handle if you told them you are not Christian, she said no need to let church knows she come first time. After the service end, we did not meet up the pastor to welcome her to church for first time. She said she like Christian songs just now in service like pop songs, but I do not think she refers to my loud singing being well properly sung. But I sing, pray, speak in tongue loud does not mean I more spiritual, just that maybe I attend music lessons in singing causing it used to loud. She said message preach was quite practical she understood some. But we broke off shortly a few days ago due to she told me she pregnant. Baby was last time boyfriend who broke off recently a month plus ago as he had baby with another lady. She wants to be single mother and keep the child. This letter is for your info and sharing. Reply is only needed if you able to solve that previous cell group issue to come back or visit another cell regular to make it home church again. Not look into lead worship in cell using any musical instrument as I know keyboard piano or a bit guitar, may cause more problem. I not against using YouTube if cell leader or group prefers, or pray hard for another musician come soon.